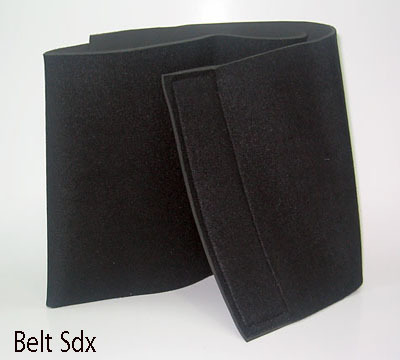 Neoprene Abdominal Belt � Belt is made of highest grade closed cell neoprene , covered with lycra elastic & nylon. Neoprene is the ultimate material for compression & heat retention.This combination provides a therapeutic treatment to muscles,joint pain & injury. Very helpful for reduction of extra weight from stomach region. Very effective for women to reduce the stomach size especially after delivery. This belt provides adjustable & firm support for weak or stressed back as well. Retains warmth & helps in reliveing pain , comfortable for all day-wear.